AddyOsmani is going to teach us how to create a useful hover-based user interface using jQuery, CSS3, HTML5 and @font-face. 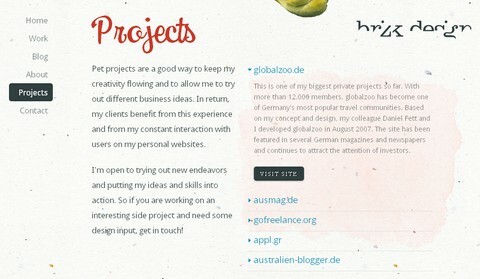 Why a hover-based interface? With the popularity of touch-based web applications simplifying the way that people can use sites on mobile devices, there’s room for us to look into ways of making it even easier for people to use sites in desktop-based browsers too. WanderWall achieves that and what it could easily be used for a portfolio or business site but the concepts we’ll learn could certainly be used to expand the idea further. Everyday on the web there’s something that we all do, almost regardless of the site that we’re on – we scroll down. In every case we need to scroll back up to the top of the page if we want to use the site navigation again or perform a site search. RocketBar is a simple solution for this which shows you how you can easily provide your users a persistent form of site navigation without them needing to scroll back up. 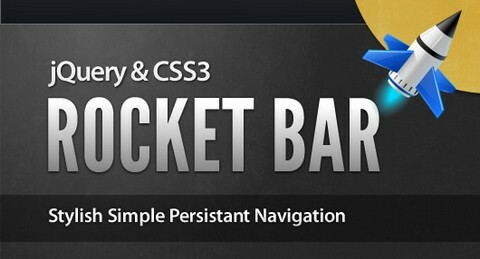 RocketBar consists of two main components – the first is the jQuery code that powers it, adding the floating class and attributes to the bar that make it appear ‘detached’ when the user scrolls up and down the page. 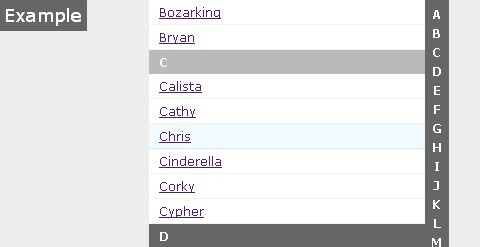 The second element are the CSS3 buttons you find along the bar. 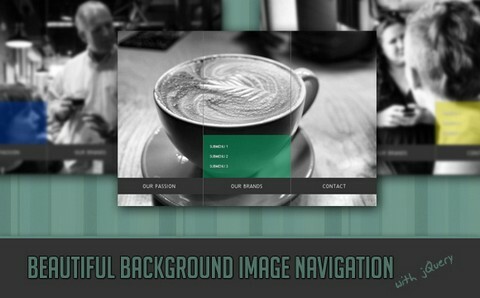 Codrops has shown us how to create a Beautiful Background Image Navigation with jQuery. The main idea is to have three list items that contain the same background image but with a different position. The background image for each item will be animated to slide into place in different times, creating a really nice effect. The background image sliding direction from the list item in the middle will depend on which item the user was before: coming from the right, it will slide from the left and vice versa. Each icon can have a scalable image and a title. As the image is dynamically resized, it is up to the browser to smoothly render the icon. You can also have a look at jqDock or other Fish Eye Menus. 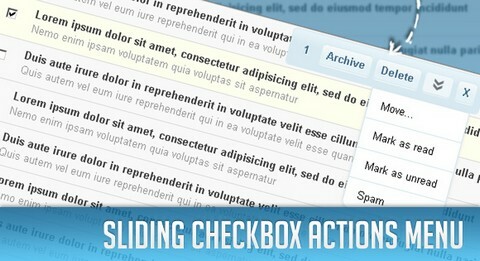 In tutorial: Sliding Checkbox Actions Menu with jQuery, we will create an actions menu with jQuery that appears when checkboxes are selected. This can be a very helpful UI property since we don’t force the user to scroll to the place where the actions are – they just appear whenever the user needs them. Usually, actions are placed at the top and the bottom of a table, and that’s OK if the table is not too big. But since we cannot control the size of the user’s viewport, it is not guaranteed that the actions are close to the users focus. With this solution we make it very easy for the user to perform certain actions on selected items. So how it works? When user makes a selection in input field Minibar pops up, semi-transparent, above the selection. When user hovers the Minibar it fades out. It disappears when user clicks anywhere in the input field or performs an action by clicking on a Minibar button. How to create Microsoft Office Minibar with jQuery and CSS3 will be shown in this tutorial – it has only bold, underline, italic, and link buttons.